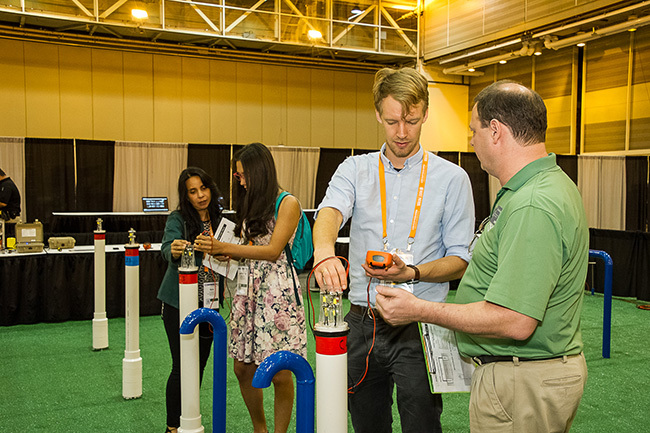 Back by popular demand is the Cathodic Protection Field, open during exhibit hours on the show floor beginning Monday evening at the Expo opening. Visitors will have the opportunity to conduct hands-on activities based on actual cathodic protection (CP) systems. They will learn from industry experts who will be available to answer questions and discuss CP situations you may have. Also on the exhibit floor is a new event this year, The Coatings Experience. This area will introduce those interested in coatings to the ins and outs of application, surface preparation, inspection plans, and other activities in an interactive way. Learn from experts in the coatings industry while obtaining experience with a variety of coating systems and methods. See the exhibit hall map in your CORROSION 2019 Final Program for the location of the two fields, which adjoin one another in the back right-hand area of the hall. Just as a rising tide lifts all ships, newfound support and awareness of the corrosion risk within the maritime industry should lead to greater demand for corrosion expertise.That’s the outlook from NACE International’s Chief Maritime Officer Buddy Reams, who called on attendees at CORROSION 2019 to become more engaged with the maritime sector in a Tuesday presentation at the Exhibit Hall’s Blue Theater. The coating, welding, and nondestructive testing (NDT) quality professions commonly overlap within industries, with associations including NACE International and the American Welding Society (AWS) working to represent each discipline. For the first year, NACE International’s Coatings Council and Water/Wastewater Councils have combined efforts to present a joint session for CORROSION 2019 attendees. Offered in the Blue Corrosive Chronicles Theater on the exhibit hall floor, the “Practical Solutions to Real World Corrosion Issues” forum took place Wednesday, March 19, 2019, from 1:00 p.m. to 5:00 p.m.